Welcome to the premiere edition of Observe and Fight, a compilation of my own unique observations throughout the sport of boxing over the past couple weeks. Get caught up on some of the most recent events you may have missed out on, including the WBC's decision to strip Timothy Bradley of his title, Antonio Tarver's victory over Danny Green, Manny Pacquiao's decision to hire an accounting firm, Amir Khan's victory over Zab Judah, and much more. So without further ado, check out the latest observations from The Boxing Observer. WBC rankings are more flawed than the BCS. They just stripped Timothy Bradley of his title for the second time; and once again, they had no reason whatsoever to do so. Jose Sulaima and company are more problematic for this sport than any promoter. The WBC is boxing's version of Paris Hilton; their opinion is held in high regard, but nobody knows why. Amir Khan grew up right in front of our eyes last Saturday night. He fought the perfect fight. Now he needs to strike while the iron is still hot. I would be shocked to see him actually defend his title against Lamont Peterson. If he can't get the Bradley fight, he needs to move up to 147 and fight someone like Kell Brook in the UK. After that, on to Mayweather. Zab Judah needs to be able to cut loose every once in awhile and unleash that old attitude within. 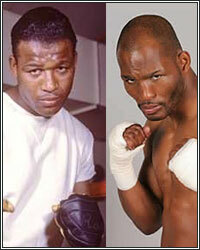 The defensive skills are wonderful, but Pernell Whitaker may not be the right guy to train "Super" Judah. Tim Bradley, get off your high horse! You are a very good fighter who has answered every challenge that's been put in front of you, but you are not an elite guy YET! You have great ability, but unfortunately, you are not a household name, not a ticket seller, and not a draw. Take the Khan fight first and then look towards Pacquiao! You need to beat a household name before you can become one yourself. Manny Pacquiao is finally doing the right thing by taking control of his career. When you are a big star, everybody wants a piece of the pie. Pacquiao needs to take a long look at his inner circle and make some changes. No one wants to see him making a musical appearance in The Hangover 12, a la Mike Tyson's recent cameo in the lackluster sequel. Save your money Pacman! Carl Froch has a legitimate chance to beat Andre Ward in October for the Super Six Championship. Say what you will, but Froch is one tough customer. The Cobra has guts and is quicker than most give him credit for. Andre Ward better be ready for a war. Not only am I looking forward to this fight, but any day we get to see Froch's wife, Rachael Cordingley, is a good day. It's good to see Nonito Donaire getting his promotional issues resolved. I can't wait until he gets back in the ring and shows off his superb boxing skills to the world. Tyson Fury has a long way to go before he can dethrone the Klitschkos, but given time, he can be the next heavyweight star. He is still a bit uncoordinated and his footwork needs some hep, but when he sits down on his punches, he is deadly accurate. He has the size and attitude to become a superstar. At 6'9", how could you miss him? I hope Antonio Tarver and Steve Cunningham can come to terms for a cruiserweight unification bout. It would be nice to see two American cruiserweights drum up some interest in the United States. Side thought...who would win a matchup between Mason "The Line" Dixon and Clubber Lang? The Mayweather-Ortiz fight does not have me all that excited. I'm really trying, but I just don't see anything in "Vicious" Victor that makes me think he has any chance of knocking off Floyd. Yes, I will watch 24/7, and yes, I will watch the fight, but I'm more excited about the Alvarez-Gomez fight as the split site undercard than I am about the main event. Go figure. I finally got the chance to see HBO's documentary on Sugar Ray Robinson. If you haven't seen it, I highly recommend you check it out. While it was a great portrayal of one of the all-time greats, the only thing I kept thinking was just how much Bernard Hopkins resembles Sugar Ray Robinson. Can I get a family tree background check?